March 28, 2018 -- Healthcare IT is becoming increasingly complex. To keep up with current and future requirements, advanced visualization (AV) vendors are organizing themselves into two different categories, each specializing to try and stay ahead of competition. ECR 2018 this year offered a glimpse of this growing split: Some vendors are focusing on interoperability and integration to become preferred platform vendors, while others are aiming to provide superior image analysis and visualization software to create the AV tools radiologists would desire and demand. What used to be one complete AV solution from one vendor may soon become two separate products with companies working together in partnerships to offer a pick-and-choose selection from the leading AV tools vendors. Why is AV breaking in two? A significant proportion of healthcare providers are moving away from the standalone PACS and workstation setup in which separate and isolated systems are used only by radiologists or technologists. Instead, the market is shifting to enterprise-wide imaging solutions, which over time could enable integration with electronic medical records (EMRs), business analytics, genomic data integration, and artificial intelligence (AI) workflow and analysis tools. Ulrik Kristensen, PhD, is a senior market analyst at Signify Research. This integration with the wider healthcare IT environment requires specialization and a single point of contact for consultative implementation and customization. Most AV vendors do not have the capabilities or wish to take on these additional tasks, unless they also have sizeable PACS and enterprise imaging businesses, and instead focus on their core strength; providing image intelligence for diagnostics. When it comes to image analysis, tools are becoming increasingly sophisticated and specialized into all the different applications, functions, and tissue types. AV tools are increasingly getting automatic segmentation and measurements integrated into heart, lung, and neurology applications, AI for detection of disease-related biomarkers, and AI brain volumetric analysis for neurodegenerative diseases. The prospects of virtual and mixed reality for interventional radiology, cardiology, and oncology adds another layer of complexity when it comes to functionalities and integration with current viewing solutions. The widening of clinical demand for AV, together with the increased integration requirements for platforms, has therefore made it harder to have a complete solution and enter the market independently. Consequently, companies increasingly focus on either providing the best platform or the best individual tools, and enter partnerships to get AV tools to the market or improve the clinical capabilities of an AV platform. When it comes to "owning" the platform space, the big modality vendors have an obvious advantage because an AV platform is often provided as part of the modality deal, such as a CT or MRI installation. This means it will be very hard for competitor AV specialists to sell an alternative platform to the provider. Moreover, enterprise PACS has also proliferated, adding further consideration in terms of integration across a broader clinical reach. AV vendors continuing to offer their products as a "platform plus tools" package therefore have substantial barriers to entry due to brand loyalty and high migration costs, as the provider is often using a platform from their modality or PACS vendor. Although the specialist AV tools may be superior, the healthcare provider may not wish to give up their existing platform and user interface, and the deal falls through. The potential sale of a superior AV tool could therefore easily be unsuccessful, if it is tied to a platform that the provider doesn't need, or if the specialist tools being offered do not easily integrate into the incumbent platform. With the advanced visualization industry breaking in two, one needs to not only determine the core capabilities of the company with regards to diagnostic tools and platform development, but to also consider the current platform installed base. If you are a modality vendor with a large AV platform market share, and also have the capacity to over time develop a fully integrated system with AI workflow, analytics, and preanalysis tools, EHR, and genomic data integration, then owning the platform space will provide long-term market success. However, sustained focus on seamless integration of data and software for the continuum of care, provider management, and population health management (PHM) is essential to this strategy. To obtain seamless integration of AV tools, a framework should be established for AV tool partners to streamline development of user interfaces and functionalities. Traditional AV vendors with AV platform and tools, but no modalities, need to demonstrate a clearly superior product compared with the modality and platform vendors. Adding a high number of tools like the big modality vendors may not be enough. To avoid being caught in the middle, vendors will need something that appeals to both the clinical and the financial buying drivers of the healthcare provider; a differentiated product with superior integration, intuitive and sleek user interface, simplicity, and automation for improved efficiency to reduce healthcare costs. And even then, it might require exceptional commercial ingenuity and marketing skills to make it profitable. So, will the division between tools and platforms continue to grow? It most likely will. Competitors are increasingly working together in partnerships to provide the best solution for the healthcare provider, offering individual tools on a competitor's platform despite having a platform of their own. Start-ups are getting their tools to the market through partnerships without intending to build a complete portfolio or platform, but solely because they specialize in providing a superior tool that can be easily integrated into other platforms on PACS or enterprise solutions. We may therefore start to see the ecosystem of clinical specialist apps developing in a systematic way, starting with a preset framework and interface for each platform, and accessed by the healthcare provider via the main platform from another vendor. This will also apply not only for smaller start-ups, but also for larger AV vendors wishing to get their tools to market in new geographic regions, especially those undergoing strong provider and competitive consolidation. 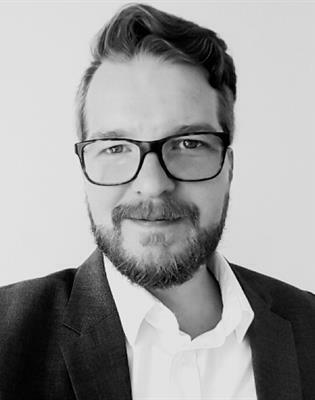 Ulrik Kristensen is a senior market analyst at Signify Research, an independent supplier of market intelligence and consultancy to the global healthcare technology industry based in Cranfield, U.K.